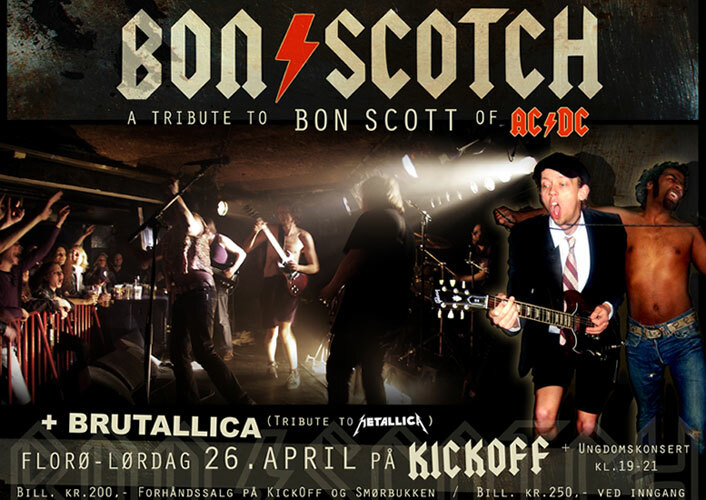 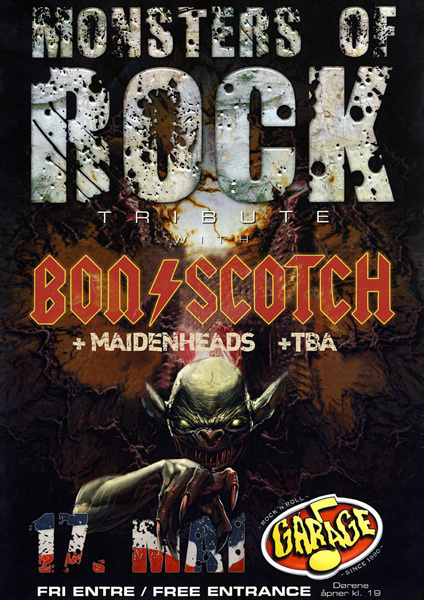 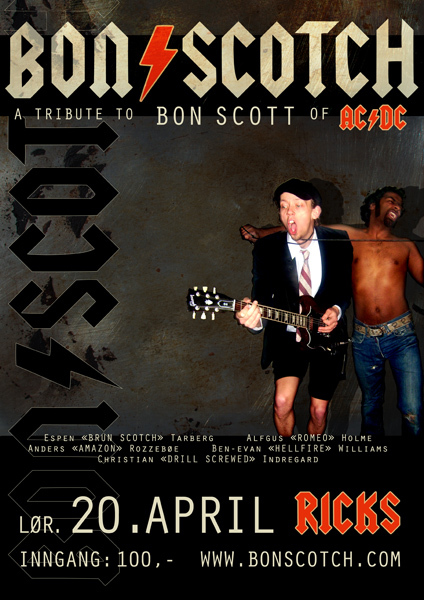 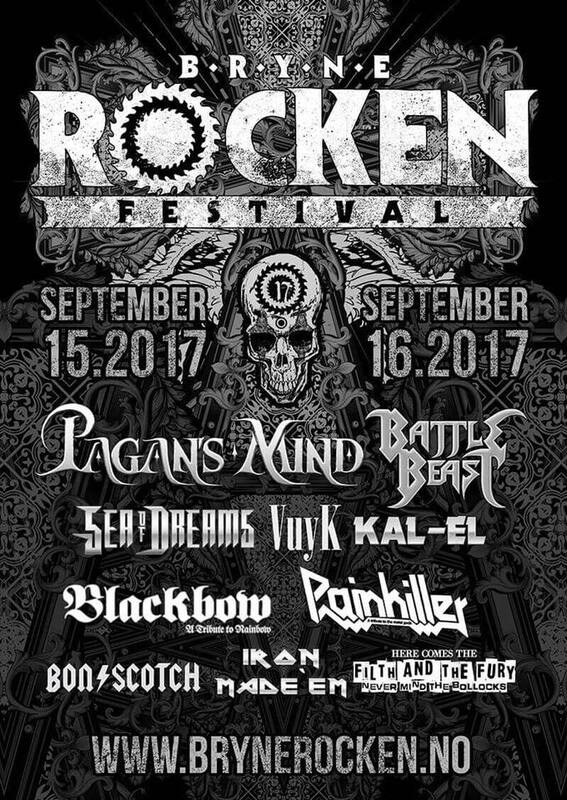 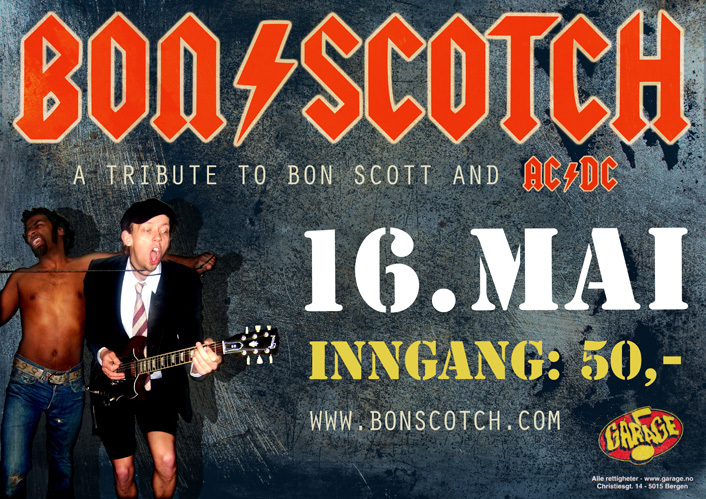 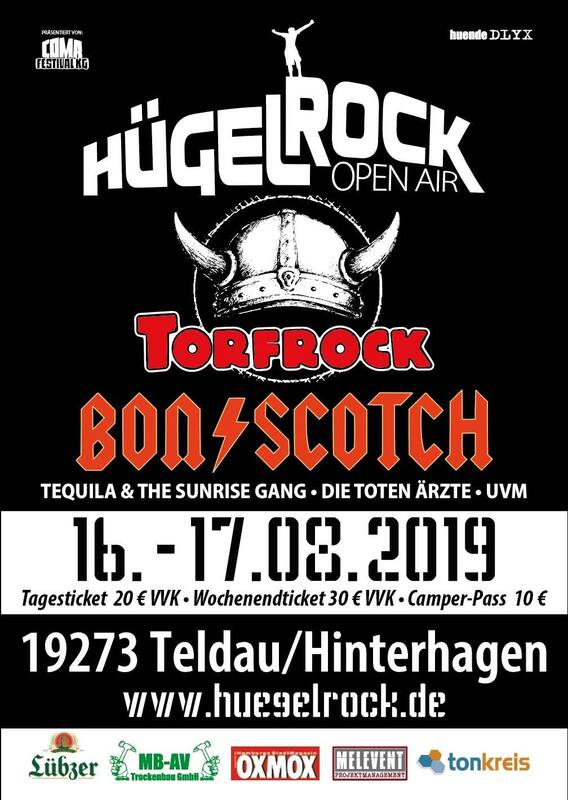 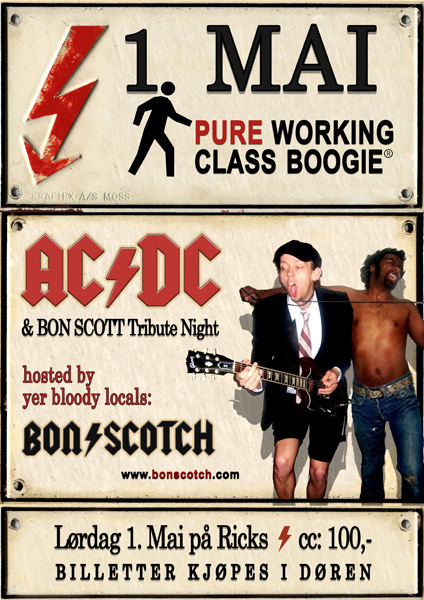 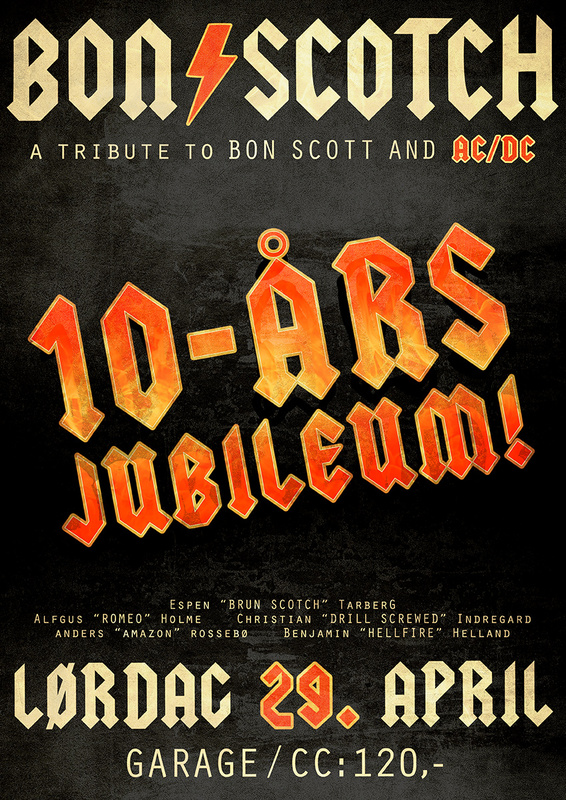 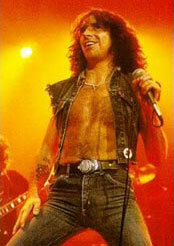 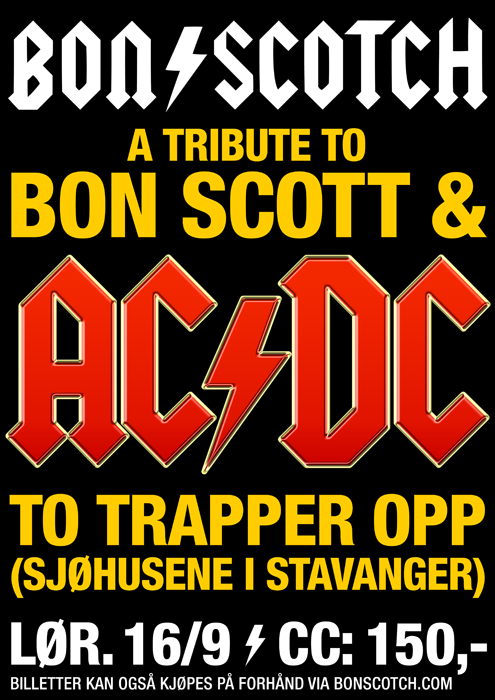 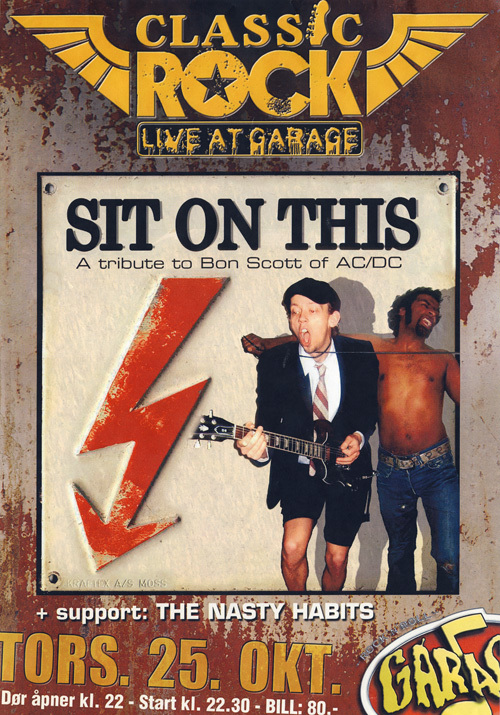 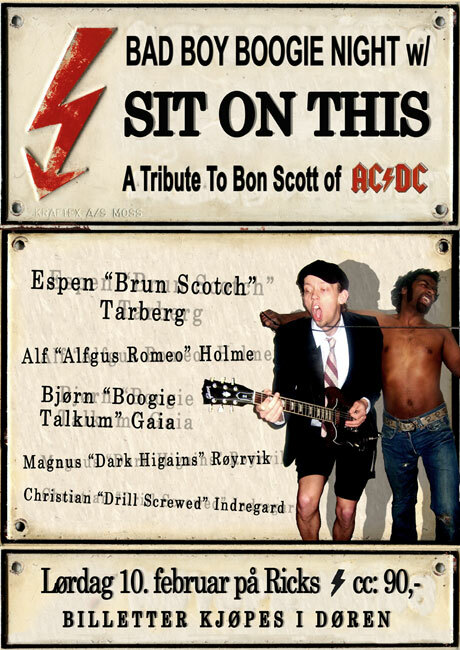 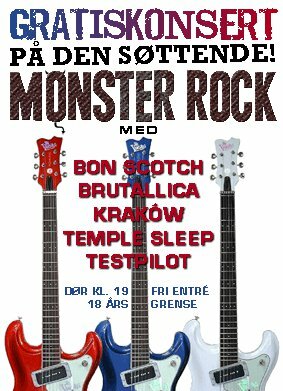 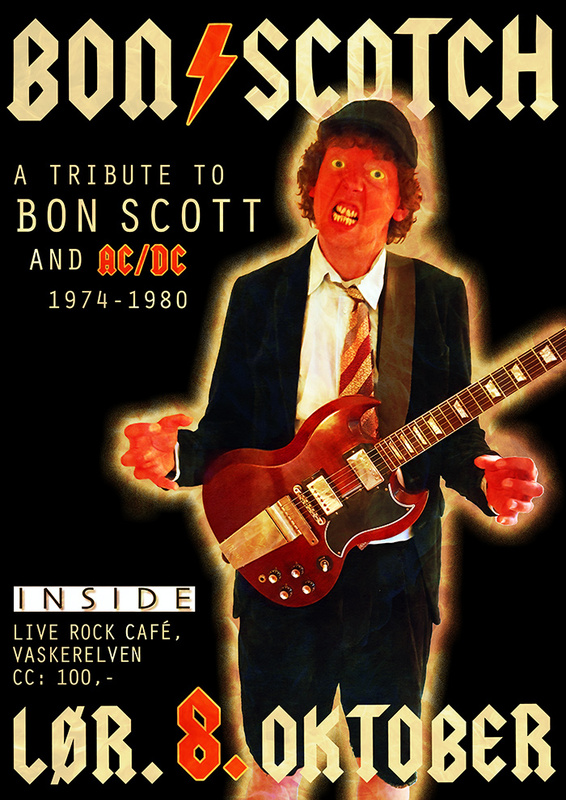 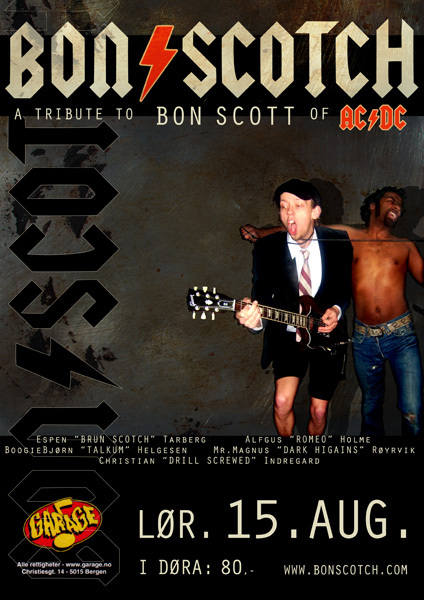 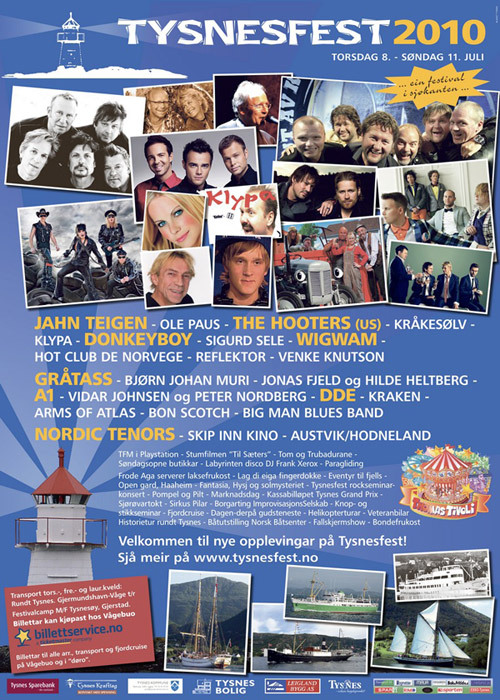 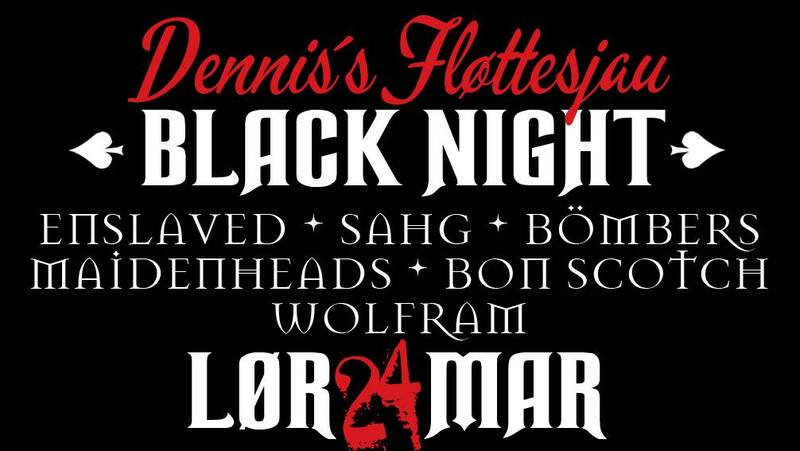 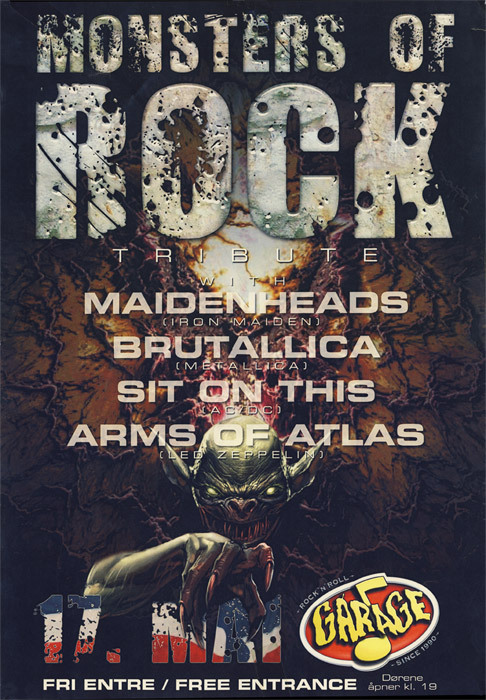 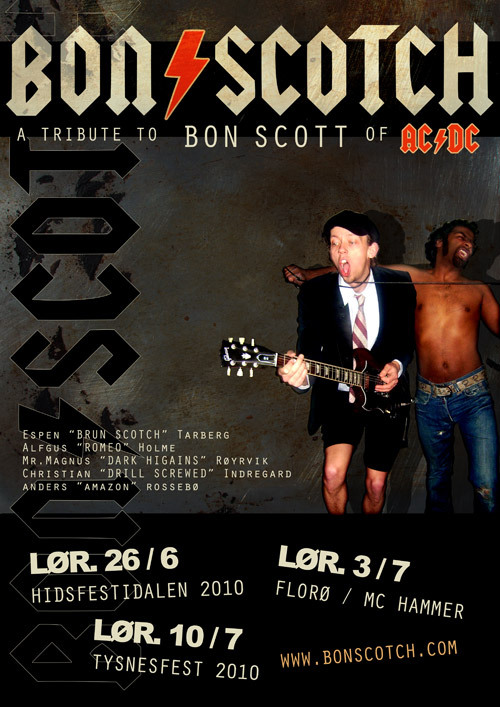 poster Bon Scotch + Love Hungry Men feirer 40 år med høyspent rock'n'roll! 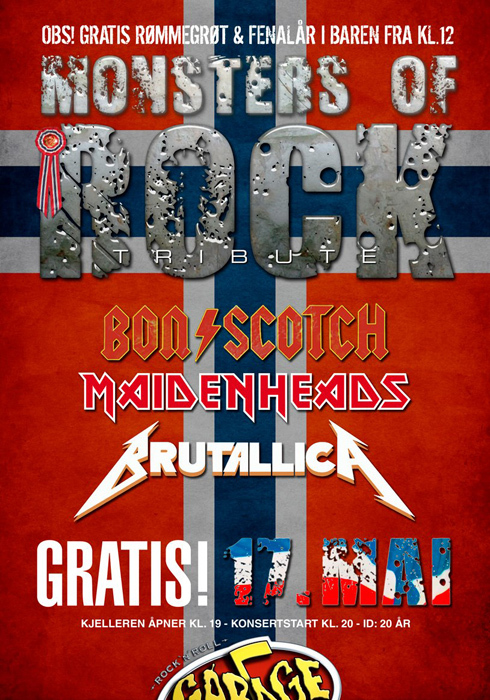 Saturday 4th of July Biker Party! 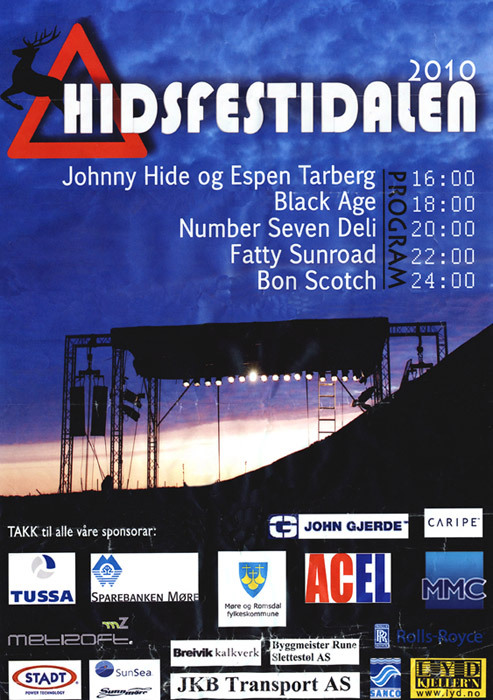 Bon Scotch, Espen Tarberg & Pelsjegerne, Fatty Sunroad, and more. 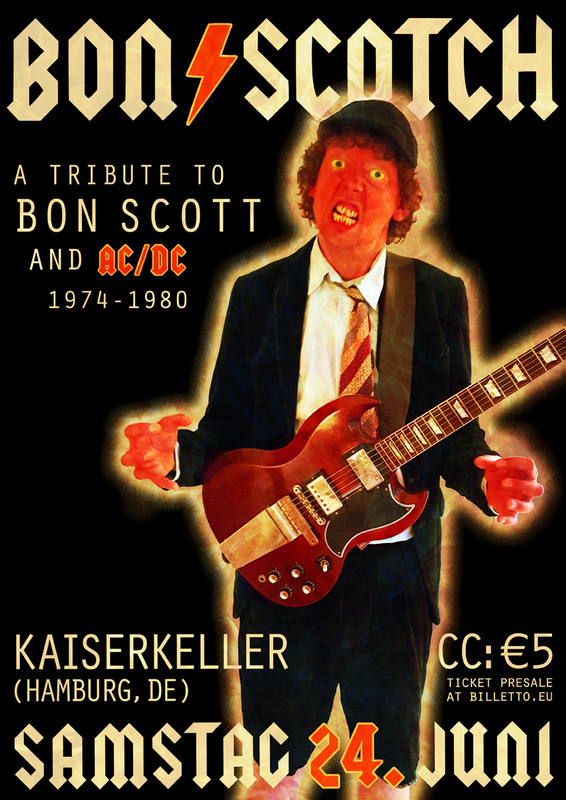 Special thanks to Annette Brenner for german translation, and Siân Kristin Phillips for english translation.